Whether you are looking to transfer your current track system to your brand new vehicle or you just bought a great set of used tracks! Complete the form below and we will get back with you as soon as possible to discuss your options. One of the best things about our track systems is that when you purchase a new machine or a great set of used tracks you DO NOT have to sell your tracks and buy new ones. Most Track Systems can be transferred to your new machine fairly simply. All you have to do in most cases is purchase a Transfer Kit to adapt your tracks to the new machine. Every ATV/UTV Transfer Kit is unique to the vehicle they are going to be installed on, so we need some fairly basic information before we are able to provide an exact price. 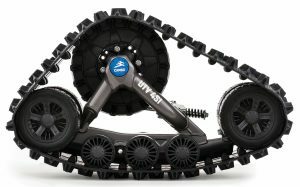 There are many factors that go into determining what parts you need in order to transfer your ATV or UTV Tracks from one machine to another. 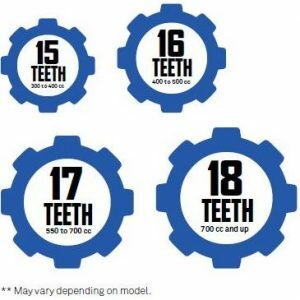 Sometimes that only involves Fixation Plates and Lug Nuts and sometimes it could involve changing out the Hubs and or the Drive sprockets as well as adding steering limiters to your new machine. For instance, the machine that your ATV Tracks came off of is a rear independent suspension, and your new machine is a rear rigid suspension. This type of transfer kit requires more parts than if you are transferring from a rear independent suspension to another rear independent suspension vehicle. Another example would be if the tracks came off of a Can-Am and you want to put them onto a Polaris. 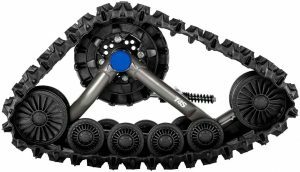 The hubs on the Polaris are unique and different from most other manufacturers out there, so your new mounting kit will include the 4 Polaris hubs as well. It can sound very complicated but really it is pretty simple to make the necessary changes to adapt the track system to your new machine. All in all in most cases it only takes about 1.5 to 2 hours to make the necessary changes. Each transfer kit comes with very detailed instructions on how to prep for the transfer as well as performing the transfer. We also have several install and maintenance videos on our site as well. Just click here to view them. *May change depending on models.